If someone had told me a week ago that I’d spend 4+ hours on a Saturday night researching one very specific, rather unknown oyster – a Canadian oyster at that! – I would’ve been amused by the thought, but also slightly concerned that I’m not reaching out to friends enough. But what can I say, last night I was consumed by the thought of a Chef’s Creek oyster, a variety that, to be fair, I plan on having in my life like a new best friend. Why did inspiration strike last night, you ask? Well, for absolutely no reason of course! It’s been 6 weeks since I last had one, and prior to that I had only eaten them once before in my life, way back in July. But, Chef’s Creek Oysters are just that memorable. So memorable, in fact, that I may have gotten a bit tipsy with an old friend a few nights ago and sternly drove it home that, “if you see Chef’s Creek on the menu, ever, you don’t hesitate to order! You hear me? You get a full dozen, no questions asked, even if your date is allergic. You have to.” This coming from a girl whose attitude has been, generally, just way more laid back about the whole subject. I’ve certainly always enjoyed oysters, sure, but I’ve never had strong feelings towards any in particular, only ever having a moderate preference for Kusshi oysters. Then boom! Suddenly I’m the opinionated oyster chick at the bar…oh joy. But, I think the reason for my sudden enthusiasm is actually pretty simple: it’s because I’ve never missed an oyster before. But I had just never met an oyster that’s so…perfect. Obviously, calling them “perfect” is extremely subjective. Personally, I like ‘em small to medium-sized, plumpity plump (“meaty” as most would say) so that they have a bite, with a taste that’s not too briny, really clean, somewhat sweet, and ideally with a certain distinction that makes me remember their name. Kusshi oysters were doing that job for me, and it turns out, the two kinds aren’t too dissimilar. In fact, last night I learned that they are harvested less than 100 miles away in the same cold, British Columbian waters of the Straight of Georgia. They are even farmed in the same way: they’re basically coddled in trays in calm waters, eating as much as they need and living the high life. 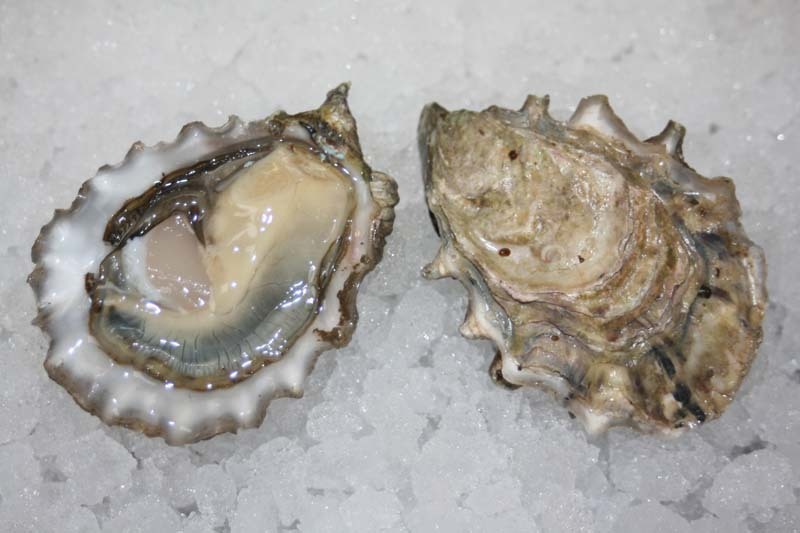 But the ones from the waters where Chef’s Creek meets the Baynes Sound have one distinctly different feature: they are creamy in a way I’ve never known an oyster could be. I know, a “creamy” oyster may sound a bit gross, but it wasn’t in a bad way; they weren’t soft, like they might be in the middle of “spawning” (a period of time when oysters wouldn’t be good to eat). Instead, after that first bite, they have this amazing, velvety, almost crème-fraiche-meets-greek-yogurt pop of texture – almost like being surprised by a pearl! My most recent encounter with them was at Pesce (which was so awesome it deserves it’s own review). I had no idea they’d be on the menu, and just got lucky to find them on special when I popped in for dinner. They were so good that, not only did I double down on a dozen more mid-meal, but I even called Pesce the next day at lunch to ask if they’d still be there that evening. After having been told yes, I was back at 5:30 sharp to get my munch on. ALAS! I was too late - they had already run out in the first 30 minutes of service. Not knowing when they’d have them again, I began searching online to see if another restaurant had them. I searched, and searched; I called restaurants out of the blue to ask what oysters were on the menu. With no luck, I eventually gave up and ordered some Fanny Bays which, I learned last night, are only miles up the coast from Chef’s Creek! But, they’re no replacement. That’s when I realized, man, there’s no good way to find specific oysters at restaurants in this city! Clearly, a life dilemma. 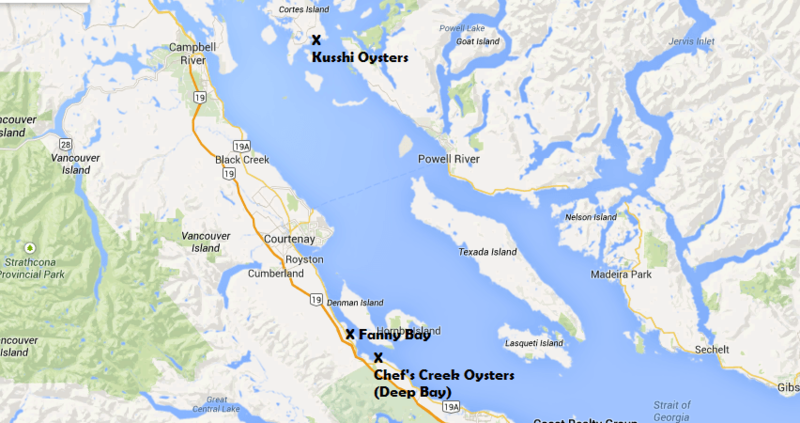 So, I researched oyster suppliers in SF that sell to restaurants (starting with Pesce’s). Not all of them list the restaurants they work with, but some do. So, below is a list of both suppliers that currently list them as available, as well as the restaurants that work with them. Now, when that craving hits next time, I’ll know who to call, or at least who to badger in hopes they’ll order them for me. Sounds like the oyster had the intended frisky effect on you!